Are you planning to buy a DNA test for your dog or pet soon? DNA testing services for pets, especially dogs, have become super-popular in the last few years. Today, there are dozens of companies helping pet owners identify the breeds of their dogs and diagnosing genetic diseases. With a primary focus on breed identification, Wisdom Panel is one of the largest dog DNA testing services in the country. Wisdom Panel’s database of more than 250 breeds trumps all other providers. This makes Wisdom Panel the best option if you want to discover your dog’s true breed and genealogy. There are several versions of the service sold today, from Wisdom Panel 2.0 to the latest, Wisdom Panel 4.0. Wisdom Panel 3.0 and 4.0 both focus primarily on breed identification. 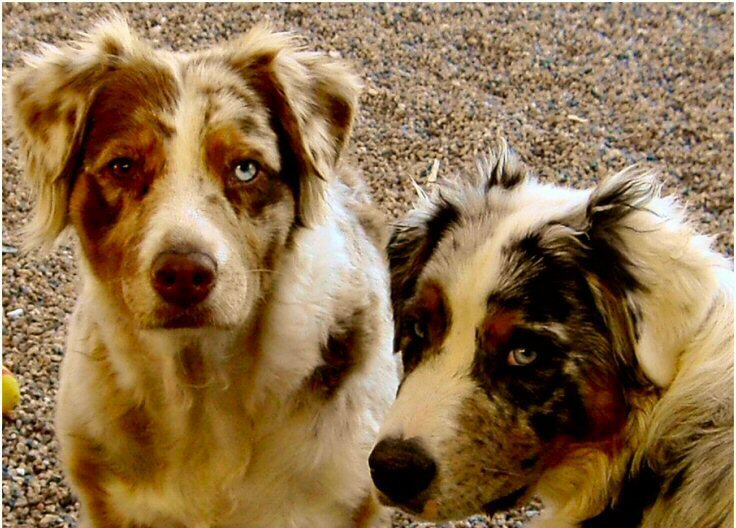 Both identify over 250 breeds and even do a Wolf and Coyote Detection. In fact, 4.0 and 3.0 are equivalent if you all you want to know is your pet’s breed and lineage. If this sounds like you, then buy Wisdom Panel 3.0 – it costs less than 4.0 and detects the exact same breeds. If you want to test your pet for genetic mutations and disease, then Wisdom Panel is not the best choice. Wisdom Panel 4.0 only tests for two inherited diseases while the 3.0 version tests for one. I recommend the Embark test, instead (see review below). Breed detection is Wisdom Panel(WP)’s greatest strength. During the 10 years they have been testing dog DNA, Wisdom Panel has accumulated a huge database of over 250 breeds, types and varieties of dogs. This includes 99% of breeds recognized by the American Kennel Club. So, WP gives you the best opportunity to reveal the full breed makeup of your pup. WP 3.0 and 4.0 test for Mixed Breed, Purebred or Designer Dog breed ancestry back to great-grandparents. For example, a test result for your dog might come back saying that he is a German Shepherd, Boxer and Golden Retriever. Many dog owners are surprised to discover that their results are far from the breed they assumed based on physical traits. 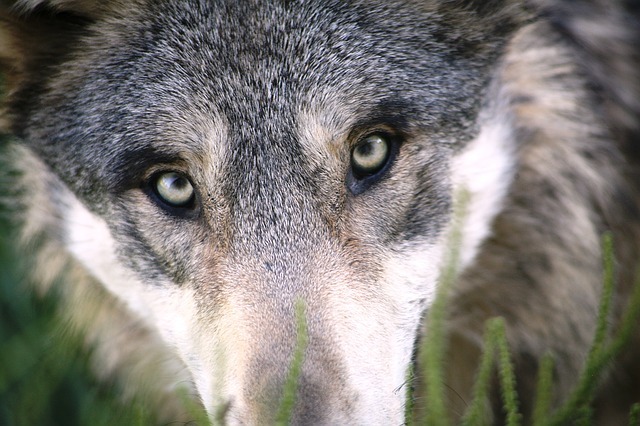 Coyotes, wolves and dogs all have shared ancestry going back millions of years ago. They share many physical traits. If you suspect your dog has wolf or coyote in its DNA, Wisdom Panel will confirm it. One of the features introduced in Wisdom Panel 3.0 and 4.0 is trait analysis. While breed identification will tell you what breeds are in your pet, trait analysis predicts the physical features your dog will likely exhibit over time. Trait analysis can be especially helpful for those with puppies. It can give you an idea of how big or furry the pup will get as he grows up. Another test you should take advantage of if you have a puppy is weight prediction. By analyzing your dog’s genetic markers, Wisdom Panel 3.0 and 4.0 can predict the adult weight, which helps you select the right nutrition and exercise plans to ensure healthy development. If you are more interested in discovering the genetic-related health risks your dog faces, we recommend Embark over Wisdom Panel. It has a much more comprehensive genetic mutation testing array. You can see the full review further below. 1. 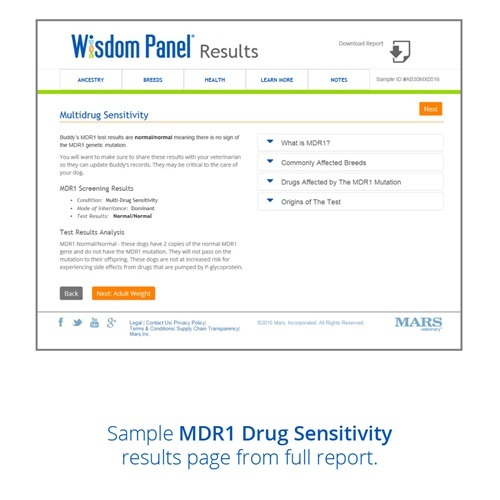 MDR1 Disease Screening, available in both WP 3.0 and 4.0. The MDR1 (multi-drug resistance) gene is a mutation that causes dogs to exhibit sensitivity towards certain medications including antibiotics, sedatives and pain killers. If present in a dog, MDR1 could lead to neurological issues including disorientation, tremors and blindness as the drugs accumulate to toxic levels inside the system. MDR1 was discovered by researchers at Washington State University. They subsequently developed a test for this mutation, which they have licensed to Mars Veterinary, maker of Wisdom Panel. 2. Exercise-Induced Collapse, available only in Wisdom Panel 4.0. This is an inherited nerve disorder common in retriever breeds that causes dogs to collapse when engaging in prolonged strenuous activity. Mars Veterinary has made huge improvements since the debut of Wisdom Panel 2.0. While 2.0 only covered 321 genetic markers, they’ve expanded this to 1,800 genetic markers with WP 3.0 and 4.0. This means that v3.0 and v4.0 are far more comprehensive and most importantly, more accurate. 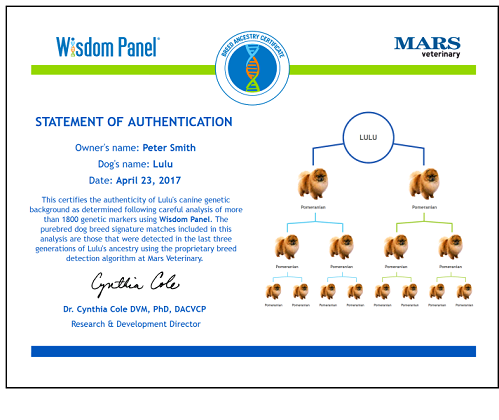 Many verified customers rate Wisdom Panel very highly on sites like Amazon, noting it is one of the most reliable DNA dog tests available. The biggest limitation of WP 4.0 is its inability to detect a wide range of genetic mutations. It only detects two. This is why we recommend Embark (read our review below) over WP if your biggest concern is the health risk of your pet. Embark screens for 160 health conditions and genetic markers. If all you are trying to do it to determine breed, then the Wisdom Panel 3.0 Breed Identification DNA test on Amazon ( Check on Amazon) is the one to get. It costs less than 4.0 and does the best job of breed identification of all the tests reviewed here. Note: Wisdom Panel 4.0 is available on the company’s official website. 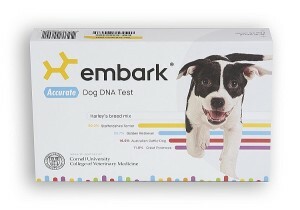 Embark provides a more comprehensive genetic health test than any other dog DNA testing service. Over 160 genetic diseases are covered. On top of that, Embark can identify over 150 breeds. Though their breed database is smaller than Wisdom Panel, it does cover the most common breeds. So if you want both breed detection and disease screening, Embark is the test to get. Working with veterinary science researchers at Cornell University, the company has worked for years to analyze and codify dog DNA. Their health and breed identification DNA tests are based on intensive research and solid science which ensures reliability and accuracy. Whether we are talking about humans or dogs, prevention is always the best option. But to prevent a disease, it is essential that we detect it early enough to take preventive action. This is what Embark’s genetic health testing aims for. 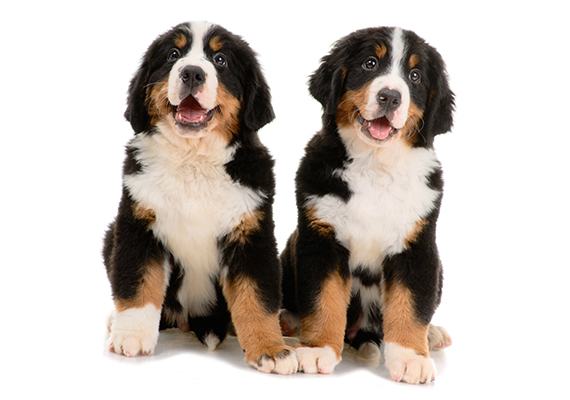 Their test can detect over 160 inherited mutations that could develop into serious health issues for your pup. This covers almost all the genetic diseases that require testing. The mutations covered affect areas like the spinal cord, mobility, the brain, the skin and the heart among other crucial body systems. Embark’s breed coverage isn’t as impressive as WP’s but it does cover the most common 150 breeds, from African Village Dog to Bearded Collie. See the full list of breeds on their website. 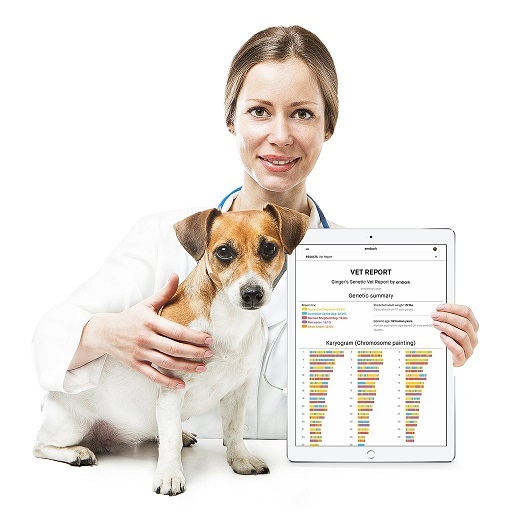 Embark provide you with a breed report showing the different breed components in your dog’s DNA and their percentages. 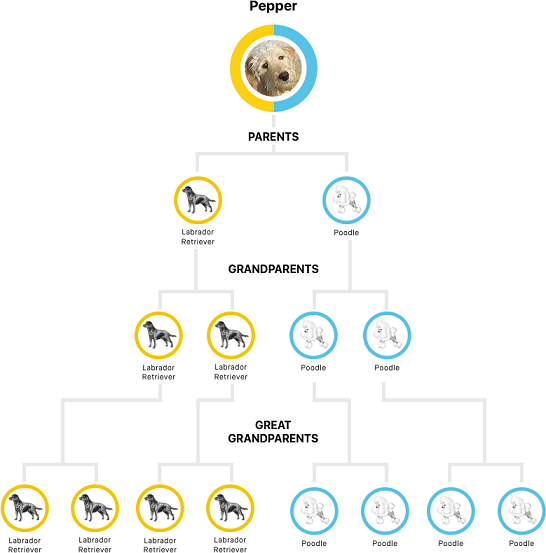 Even if you aren’t a dog breeder, it’s pretty cool to learn the genetic genealogy of your pet. Note that Embark also provides tests for Coyote and Wolf ancestry. A lot of genetic factors influence the physical traits of your dog. By analyzing your pet’s genetics, experts can tell you why your dog looks the way she does and what her offspring might look like. For puppies, they can predict what physical features your pet will have when he grows up. Coat color – this includes the color and pattern. Different genetic makeups result in specific colors such as Dominant Black, Agouti or Brown. Coat traits – If your dog sheds excessively, it is likely due to its unique genetics. Other coat traits include Long, Improper and Curly. Body features – A genetic test can tell you a lot concerning your dog’s unique features such as his head shape or the presence of dewclaws. Performance – for dogs in strenuous environments, performance is very important. Genetic testing can tell you how primed your dog is for such an environment. For example, it can test whether he can tolerate high altitude environments. Genetic diversity – when analyzing traits, experts will also check the level of inbreeding in your dog’s genealogy. The more closely related he is to his immediate ancestors, the higher the risk of inherited mutations. 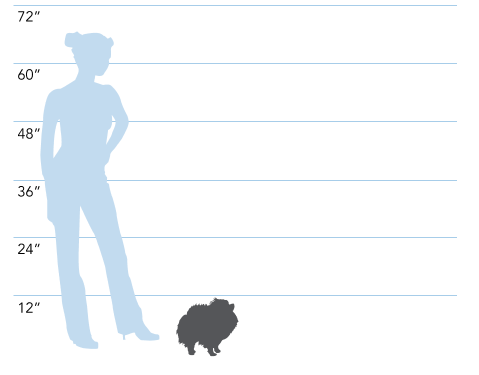 Body size – while environment significantly determines a dog’s body size, Embark’s genetic tests can explain a big part (over 80%) of why your dog has a certain body size. It can also predict how big a puppy will get with age. Generally, younger dogs and larger breeds age faster than older dogs and smaller breeds. But this is an overly general description. Embark uses genetic testing to provide you with a far more accurate picture. 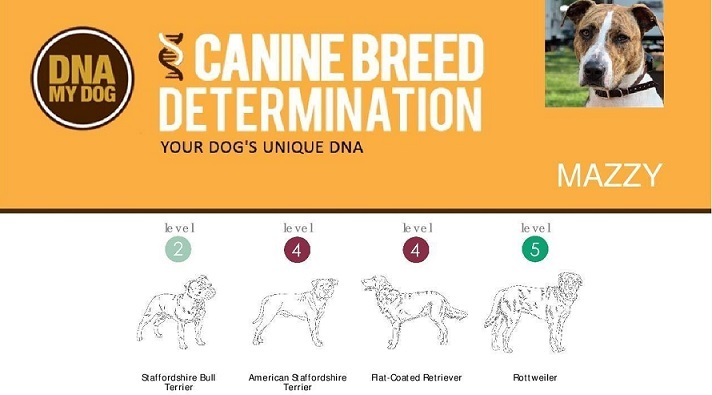 By measuring specific DNA markers, their algorithm calculates a genetic age for your dog. 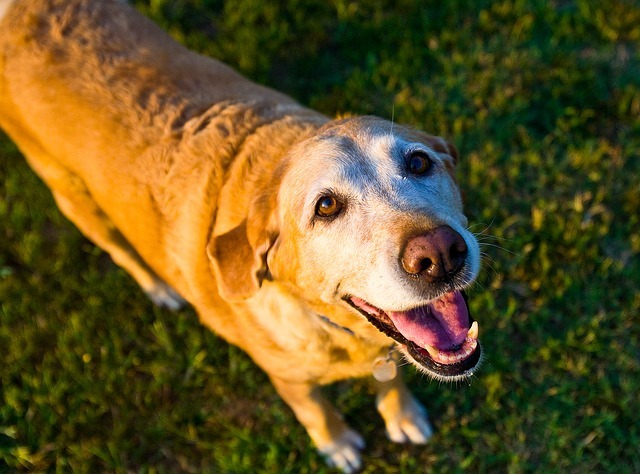 This helps you determine the right nutrition and care appropriate for your pet’s age. You can also prepare fully for the dog’s adult and senior years. Embark can also predict your dog’s weight. They test 17 genes to determine how body size will vary with time. If your puppy is likely to grow into a big-bodied dog, you can start on good nutrition and exercise in time to prevent obesity and related problems such as osteoarthritis. In addition to sending you test results, Embark’s in-house vets also prepare a comprehensive report that’s meant for sharing with your vet. It carries important information that your vet can use to ensure your dog remains healthy for as long as possible. When you place an order Embark will ask whether you would like your dog’s genetic information to be used in furthering research. This is an opportunity for ordinary pet owners to contribute to efforts aimed at improving canine health through studies and research. When the health of your pet is your concern, DNA test accuracy is a life-or-death matter. You can afford to get the breed of your pup wrong – but not his risk for a life-threatening illness. Embark is one of the most accurate dog DNA tests you can buy, because they look at massive 200,000 genetic markers (vs. 1,800 measured by Wisdom Panel). Embark is twice as expensive as Wisdom Panel 4.0, which costs about $85 (3.0 costs Check on Amazon). But of course, breed identification is mostly to establish lineage, which is at most a commercial need. Genetic health screening, on the other hand, can keep your dog healthy for many years. Verified customers of Embark praise their excellent customer service, especially their after-test support. They certainly make you feel like it was money well spent. The main limitation of Embark is in their breed identification. With only 150 or so breeds in their database, they are well behind the 250+ number for Wisdom Panel. Embark’s test kit is available for $189.00 on Amazon and on Embark’s official website. Before you buy, make sure you check the reviews and the latest price on Amazon, because it can sometimes cost less there. We have picked Embark as the top option for genetic health screening and Wisdom Panel as the top pick for breed identification. DNA My Dog is our third recommendation. It is a great value, even though it does not win in any major categories. We present it as an option or pet owners who are looking for a less expensive way to identify their dog’s breed. A look at customer reviews shows some dissatisfaction with the DNA test. 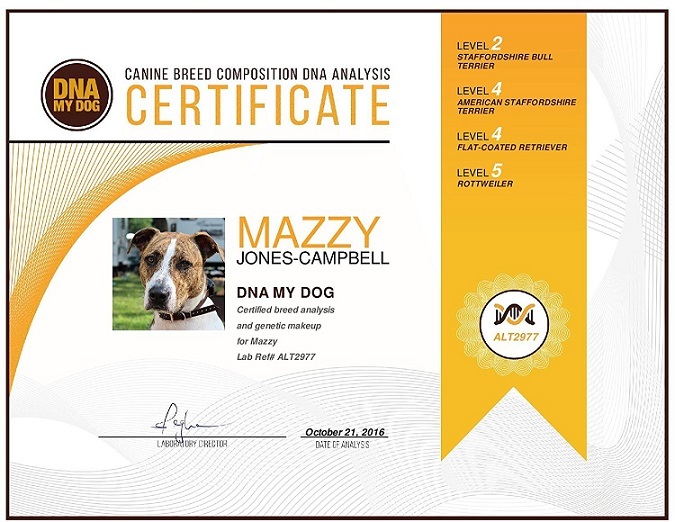 We reviewed their testing process and, compared with WP and Embark, it is clear that DNA My Dog provided s less comprehensive and and likely reliable DNA test. But the Canadian-based testing service still has some unique features that we love. One reason why we don’t recommend DNA My Dog for breed identification is their significantly smaller breed database. DNA testing relies greatly on already available DNA information of breeds. So the bigger a database is, the more comprehensive and accurate the breed identification test will be. 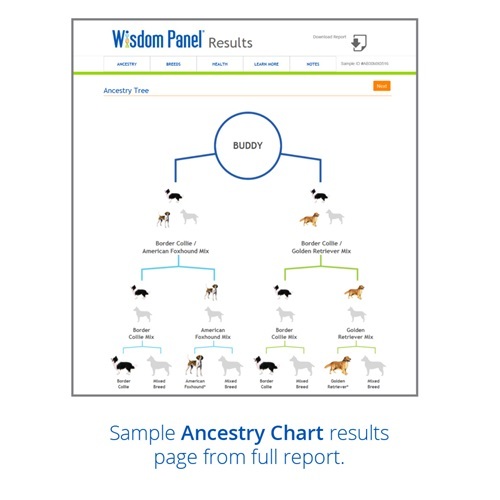 Wisdom Panel leads the way with over 250 breeds in its database. Embark can identify over 150 breeds. DNA My Dog can only identify 84. While they cover the most common breeds, there is still a high chance that some breed components in your dog could be missed. Note that they also perform Wolf, Coyote and Fox hybrid identification tests. The report you will receive will focus mainly on the breed mixes in your dog. It also includes information on the health risks your dog faces as well as personality traits. The additional health information may seem like a good thing but don’t rely on it to help you keep your pup healthy. Because it is generic information based on the breed mixes found in your dog’s DNA. With Embark and WP, they actually test the DNA for the presence of specific mutations or features that could spell trouble for your dog. Embark is especially good at this, testing for over 160+ health risks while WP tests for two. DNA My Dog does no such testing. Instead, they inform you of the health risks that are generally common in the breeds identified. This is information you could get for yourself or from your vet. Furthermore, your dog may have a unique mutation that is not common to its breed. If it is not detected in time, it could place your pet’s health in jeopardy and cut short its lifespan. DNA health screenings have proven to be an essential tool for preventive care in pets. They allow pet owners to act early to protect their dogs and make sure they live a longer and healthier life. 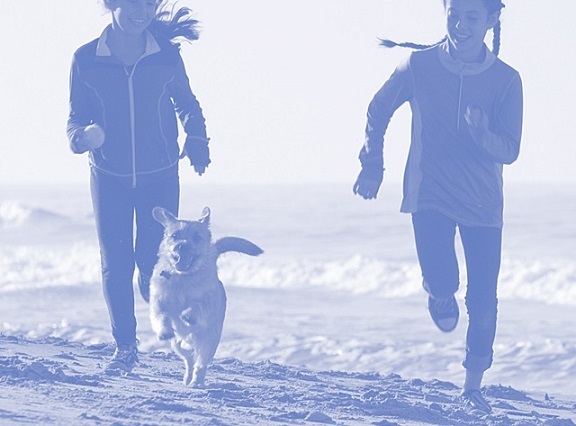 If you are concerned about your dog’s health, we strongly recommend Embark’s testing service. It is much more expensive but completely worth it. This is one of DNA My Dog’s unique features. If your dog happened to pass away before you could identify its breed, they can help you. Because obtaining a swab is out of the question, they request for objects that were used by the deceased pet. This can be a blanket, toys or toothbrush. Basically, anything that might contain the dog’s saliva. Make sure the item has not been contaminated with another dog’s saliva. Once you send it in, they will try their best to extract the deceased dog’s DNA from it. 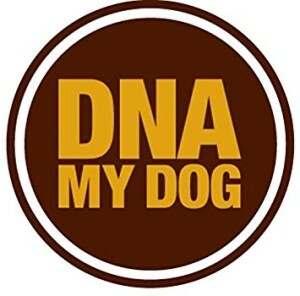 DNA My Dog also issues custom DNA certificate showing the breed mix of your dog. While not really important, it is a nice touchup. The company recommends sending a photo of your pup to be put on the certificate. But sending a photo is optional; they will still issue you with a certificate albeit without a picture. We have already covered the biggest issues with DNA My Dog: poor health screening, small breed database and test unreliability. With less than half giving the test a 5-star review on Amazon, be extra cautious about buying it. Many customers complain about inaccurate test results and lack of comprehensive testing. Quite a number also pointed out the poor customer support offered by the company. Our verdict is this: DNA My Dog does not provide as much bang for your buck as Wisdom Panel and Embark. It may be slightly cheaper than Wisdom Panel but still too pricey for what they have to offer. The best places to buy DNA My Dog are on Amazon ( $68.98 + reviews) or on the company’s website. If you are still on the fence about getting a DNA test for your dog, there is plenty of important things the test results can tell you. Here are the nine most important ones you will learn from the test. Most pet owners have no clue what their dog’s breed is. Their guesses, usually based on physical traits and behavior, are often wrong. Some even use software programs that claim they can identify a dog’s breed from a photo. Why speculate when you can get an accurate answer through DNA testing? Both Embark and Wisdom Panel have highly reliable breed identification tests. They can tell you whether your dog is a purebred or a hybrid. Most breed identification tests will trace your dog’s lineage up to its great-grandparents. You can also trace the dog’s ancestry on both its mother’s and father’s sides. While knowing your dog’s family tree is mostly a matter of curiosity, it holds a lot of clues regarding its past. For example, you can use it to trace the geographical journey of the dog’s ancestors. Embark’s test for example can even trace your dog’s genetics to the wolf. Dogs come with all sorts of physical traits. Some are chocolate, others black and others a deep reddish hue. Physical traits are largely determined by genetics. From the breed alone, you can roughly predict what a pup is going to look like when it grows up. But a study of the DNA provides a more precise snapshot of the physical traits your pup and its offspring will acquire. For adult dogs, a DNA test provides an explanation of why it looks the way it does and what you can expect with future offspring. Pet obesity has been rising in the last several years. In 2016, it was estimated that 58% of dogs are either overweight or obese. For most pet owners, you will find that the weight increase happens without them realizing it. They feed the dog high-calorie food without considering its effect. A DNA dog test can help lower these statistics. By studying certain genes, Wisdom Panel and Embark provide their customers with weight and body size predictions. In other words, they tell you whether your dog is one of those big-body types and whether he is at a higher risk of growing obese. If you have a high-risk dog, you can start on a proper diet and exercise routine to keep obesity at bay. If most pet owners had this information early on, they would be able to take effective timely action and prevent obesity and related problems such as osteoarthritis. As in the case of weight prediction, an assessment of your dog’s genetic health risks can be immensely beneficial in taking early action. For instance, some dog owners don’t realize their dogs have drug-sensitivity (MDR1) problem until it is too late when they fall seriously ill or even die after being given a certain drug. If the dog had received a genetic health screening, this mutation could have been uncovered in time. Certain inherited mutations are common among specific breeds. So you can use your dog’s breed information to predict what health risks it faces. This is what DNA My Dog does. But in matters in life and death, this is an incredibly inefficient and dangerous way to ensure the health and longevity of your pet. Embark, who screen for over 160 mutations and Wisdom Panel, who screen for only 2, study the DNA directly, looking for signs of inherited gene variations that could cause some serious trouble in the future. Why does your dog behave the way it does? The answer can be found in the DNA. By analyzing the breed mix and genes, experts can provide an explanation of certain behavior in your dog. For example, they might find a trace of a specific breed that is known for its quirky personality. Genes passed along from this ancestor could explain why your dog seems to only get active when the sun goes down. You can use behavioral traits analysis to predict the future personality of a puppy or to understand current behavior. This is a feature provided by Embark. It gives pet owners a fairly accurate age – and therefore an estimate lifespan – of their dogs. They can then create age-appropriate nutrition and workout routines. Age analysis is essential in ensuring that your dog is at its healthiest regardless of its age. You can provide growth-friendly food when it is young, energy and growth sustaining food when it is an adult and protective nutrition in its senior years. Another thing you can learn from the Embark test is how genetically diverse your dog is. The diversity test checks for the level of inbreeding. In other words, how closely related a dog is to its parents and grandparents. Purebred dogs usually have the highest level of inbreeding (lowest diversity). They have been known to have the highest risk of genetic mutations. Lower genetic diversity means significantly higher risk of inherited health conditions while more diversity has been linked with less risk. When you trace the evolutionary history of dogs you will find they have a lot in common with wolves, coyotes and foxes. If you are wondering whether your dog still has a trace of wild genetics in it, all the three tests we reviewed will tell you. Note that Embark and Wisdom Panel only provide Wolf and Coyote testing while Embark also includes fox gene identification in their DNA tests. A dog’s DNA is its only connection to the past and one of the best predictors of the future. The DNA is like a blueprint that determines the physical and behavioral traits of a dog. While each dog is unique its DNA has been inherited from its ancestors. The mother and the father each provide half of the DNA. They in turn got theirs from their parents and so on. So a dog’s DNA, whatever information it carries, has a strong connection to other dogs in the family line. Experts look for these connections to determine what breed the dog is, what health risks it faces and to predict its physical and behavioral traits. To identify the breed, they rely on their database of various dog breeds. They compare the DNA of your dog with the DNAs in the database to figure out the breed mix in your dog. For health screening, they look for specific DNA mutations that are known to be a precursor to certain health conditions. Each Dog DNA testing service has its own process. But generally, the following procedure is followed. You buy a dog DNA test kit either from the company’s website or Amazon. For most test providers the money you pay for the kit covers everything including the testing. You don’t need to pay anything extra. Kits range from $60 to $200. The kit contains at least two swabs that you are supposed to use to swab inside the dog’s cheek. Make sure you carefully read the instructions before you do anything. Otherwise you could do it wrongly and compromise the quality of the sample which could lead to an inaccurate test. Package the swabs as directed in the instructions and mail them to the company’s lab. You should send the swabs as quickly as possible to preserve the integrity of the sample. Most companies provide a postage-paid envelop for you to use. Wait for the lab to run the test. This can take anywhere from 1 week to 4 weeks. When the test results are out you will either receive an email with the results or a direct mail. Some companies also allow you to login to an online portal where you can check the status of the testing process and see the results when they come out. One of the biggest concerns for pet owners is accuracy. DNA test reliability varies from company to company. Some cheap testing services provide inaccurate results that could be misleading. One reason for this could be their limited breed database. Services like Embark and Wisdom panel are more reliable since they have a very comprehensive database that helps them identify even the most unique breeds. They can also differentiate between closely related breed types that a less-reliable test would identify as a single breed. Another common concern among pet owners is whether they need to draw blood. No, you don’t need to take a blood sample. A cheek swab will often be adequate to extract the required DNA and study it. Some services like DNA My Dog will accept blood samples but only from your vet and at an extra fee. This is the most important feature to consider. Without reliability, you might as well be throwing your money down the drain. Even worse, you could miss crucial information about your dog’s ancestry and health. Look for testing services that have a large database of breeds and which can identify thousands of genetic markers. Two good examples are Wisdom Panel and Embark. Wisdom Panel’s database has 250 plus breeds and their tests can analyze over 1,800 genetic markers. Embark has a smaller database of around 150 breeds but they are able to analyze over 200,000 genetic markers. How much information does the test reveal? The more comprehensive a test is the better. Embark is one of the best when it comes to comprehensive testing. They can identify the breed, test for inherited diseases, analyze a dog’s genetic age, predict future weight and explain a dog’s physical and behavioral features. 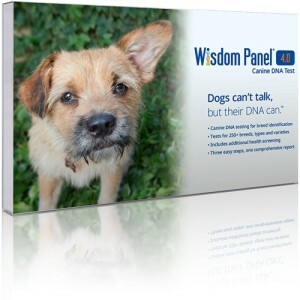 Wisdom Panel also provides wide ranging details resulting from a DNA test. The most important thing here is to make sure that you are getting value for your money. Be careful about tests that are pricey but provide limited and unreliable test results. On the same note, avoid cheap dog DNA tests that don’t reveal much and are inaccurate. Tests that focus mostly on breed identification tend to cost less than $100. Tests that are more comprehensive, offering breed identification as well as health screening are usually closer to the $200 price tag. Most pet owners are left with many questions even after receiving test results. Some want to know how to interpret certain numbers while others want clarification on various details. Some companies are unhelpful, either failing to provide any help or giving you cookie cutter answers that you can get on their website. Embark has the highest rating when it comes to customer support. Many customers say the staff was very helpful in answering questions and providing additional help. The company even provides a bonus report designed specifically for your vet. DNA – The unique genetic makeup of a dog. Each dog has a unique DNA inherited from other dogs down the family line. DNA testing – this is the process of identifying the makeup of a dog’s DNA. The DNA contains information on breed, health, physical traits and age. Experts who perform DNA testing attempt to ‘read’ this information and decode it in a way that an ordinary pet owner can understand. Inherited – received from. When we say that a mutation is inherited, we mean that it was received from another dog in the family tree. Some mutations come from the immediate parents while others go several generations back. Traits analysis – analyzing the information contained in the DNA concerning the physical traits of a dog. This is used to predict how a dog will look like or explain its current physical features such as color, type of fur and body size. Breed identification – analyzing the DNA of a dog for information on its breed. It could be a single breed (purebred) or a mix of different breeds (hybrid). 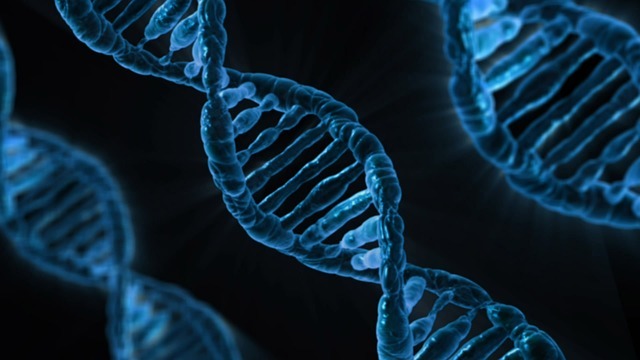 Genetic markers – these are genes contained in a DNA. Typically, a dog’s DNA has tens of thousands of genetic markers. They are essential in analyzing the breed, health and physical traits of a dog. Genetic mutation – an alteration of the DNA makeup. A mutation affects genes in the DNA and could lead to certain unwanted health conditions. For example, some dogs have a mutation that causes them to collapse after a short period of intense activity.